Home #ADDICTIVE Ring Tower – The beginning of your minimalist addiction? 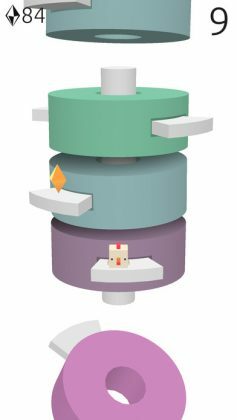 Ring Tower – The beginning of your minimalist addiction? 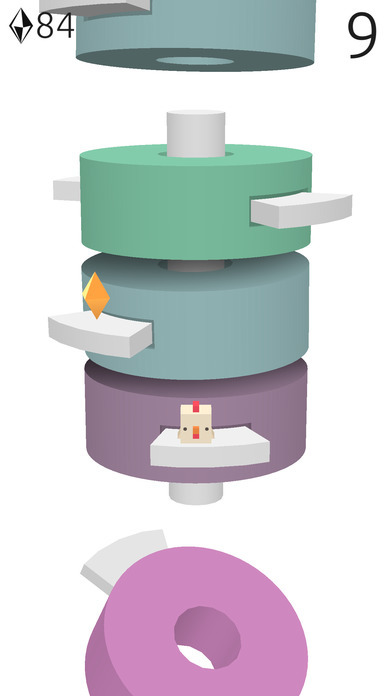 Ring Tower – as the name implies – is a game about a tower made of colorful rotating rings. 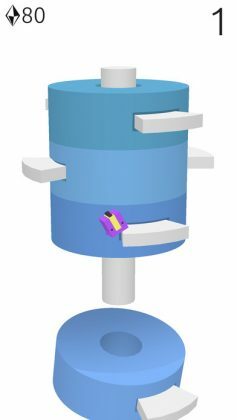 Set in the middle of your screen, your mission in this game is to jump up this never ending cycle of rings without accidentally falling to your death. A pretty simple concept. On the sides of each rotating ring is a small platform your player can jump to by tapping on the screen of your device. 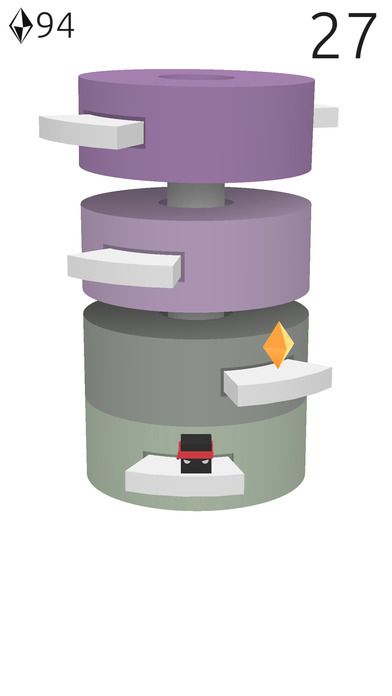 Each time you jump to a new platform, the previous ring/platform you were resting on will fall into the abyss, moving your new platform down a notch just in time to catch a new platform that drops down from above. 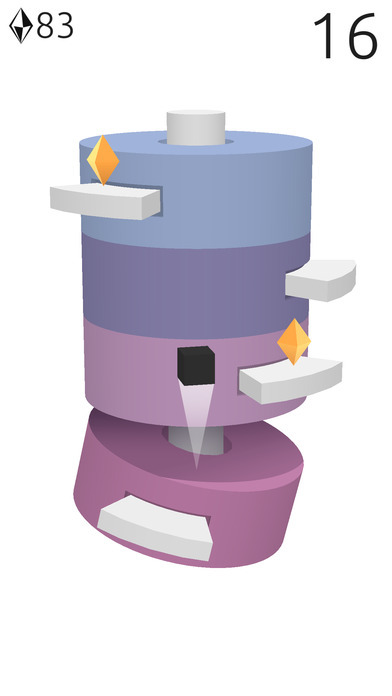 Using this never ending cycle of falling rings, your mission in this game is to survive – not climb to the top – for as long as is physically possible. Now, if you’ve played a lot of minimalist games, chances are you are well aware of how good they can be at killing your player. 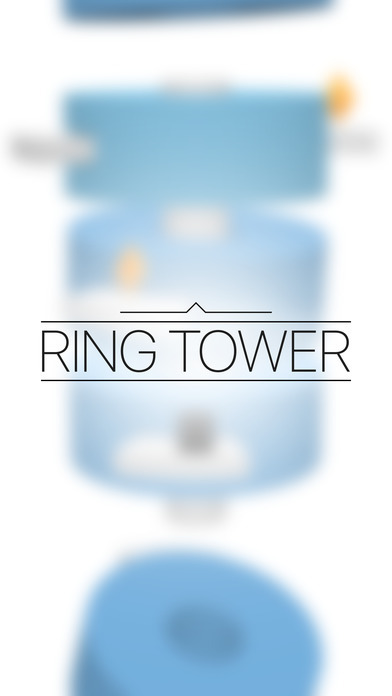 Surprisingly, enough though Ring Tower isn’t one of those games. 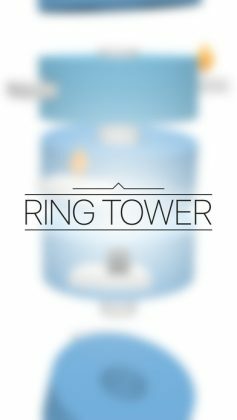 With no penalties or restrictions for staying on a platform for too long, Ring Tower is surprisingly generous in the sense that players are free to carefully time their jumps so as to achieve the best possible outcome.